How does Exercise Play a Role in Child Brain Development? The benefits of exercise for adult problems such as obesity and diabetes has been a frequently researched and openly discussed in over the past decade. What hasn’t been really discussed until recently, but is just as important, is the benefits of exercise on children’s brains. According to a study published in the Society for Research in Child Development, there is a now a link to exercise and cognitive development and achievement in school. The study goes on to say that active children do better in class and on tests because exercise seems to lead to larger brain volumes in areas associated with memory and thinking functions. This includes behavior and decision-making. Active kids also appear to have better concentration and longer attention spans. A study conducted by the University of Illinois states that physical activity leads to better performance on tests and, according to studies conducted by Michigan State and the University of Vermont, daily aerobic exercise in children can lead to reduced symptoms of ADHD. The US Department of Health and Human Services recommends 60 minutes of daily physical activity for youth ages 6-17 years. Yet, despite the amazing aftereffects of physical activity, students are still not getting enough in school. According to the CDC, physical education classes among students has been steadily declining, with only 24% of 12th-grade students attending physical education classes, down from 41% of 9th-grade students. This is an alarming number, especially considering the many benefits linked to academic function and exercise and also knowing that exercise at a young age can lead to a lifelong active lifestyle. Seeing these statistics, it is imperative that children try and get their daily physical activity at home. 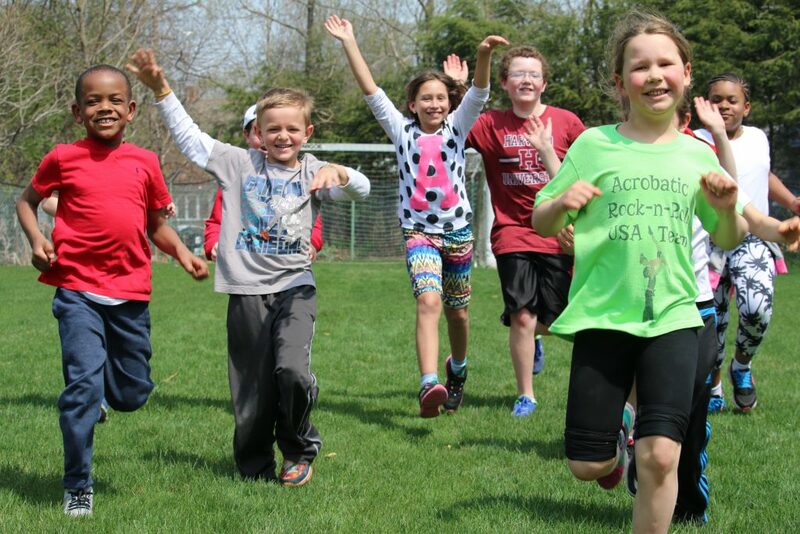 For many children, reaching 60 minutes of physical activity each day may be especially hard if they aren’t involved in extracurricular activities, such as sports teams or after school programs. However, to reap the benefits that exercise provides, students do not need 60 minutes of consecutive exercise each day, the physical activity can be broken up throughout the day. The CDC reports that 20 minutes of walking affects brain functioning, helping to stimulate students’ mind and improve academic success. According to Dr. Laura Chaddock-Heyman, a research scientist specializing in movement and the brain, even short bursts of movement can deliver big benefits for brain health and academics as opposed to sitting quietly. It doesn’t take much to access the benefits of exercise on the brain. You can have your child do 5 minutes of jumping jacks, squats, jogging in place before they leave for school and again once they get home, and/or before and after dinner. The bottom line is, children need exercise, and when they are receiving the correct amount, it will truly make a difference in many aspects of their lives. For more health and fitness tips, visit our website or give us a call at 781-326-2900 and speak to a membership representative. Karate has had a massive influence on my life, from the day I started nearly eleven years ago to today, over the years, I have learned so many valuable lessons and undergone countless experiences that have, no doubt, shaped the person who I am today. Some of these lessons are the kind that one would expect to learn from martial arts, such as self-defense, discipline, and self-control. Others, however, are not so clear-cut, such as courage, friendship, and a better appreciation for the world around me. Finally, the most important thing karate gave me was something that I could call my own, and that no one could ever take away from me. Over the past eleven years, karate has been so much more than a fun hobby or activity to pass the time. To me, my Kenpo journey has been a transformative experience that has shaped and molded the person who I am today in every aspect of my person. 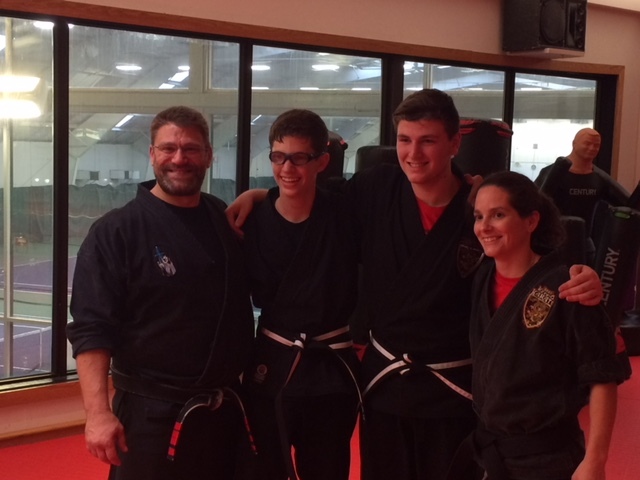 We are so proud to have Patrick as one of our students, and his words express how martial arts training goes far beyond the punches, kicks, and techniques drilled on the mats- it becomes an integral part in your growth as an individual. Come join us for class and begin your own journey. Strength Training for Kids, Is it Ok and When Can They Start? It’s easy to dismiss strength training for kids. One of the biggest strength training myths is that it’s not appropriate for children. People believe that it will affect their development and their bone growth. In reality strength training for children can be very beneficial, when done properly and supervised by a degreed exercise physiologist. Don’t just take my word for it, organizations like The American Academy of Pediatrics (AAP), the National Strength and Conditioning Association (NSCA), and the American College of Sports Medicine (ACSM), three highly respected organizations, have all come out in support of appropriate/supervises strength training for children. Some of the benefits of strength training for kids include: increased strength, increased self-confidence, increased motor control, and a decrease in injury. Just think about how many times as an adult you’ve said, in terms of exercise and strength training, “I wish I knew then what I know now”. There really is not set rule for when a child should start a strength-training program but one rule to follow is can the child listen to and follow directions and can the child do so in a structured fitness center setting. A quality program for kids will focus on technique over performance, be properly supervised, won’t be sport specific, and be a fun and positive experience. The exercises prescribed should be easy to accomplish and if they can’t then no weights should be added, for example if a kid struggles with squats then they should only focus on body weight squats and not worry about adding weights. If you’re still not convinced that kids can participate in weight-training programs, just think of the impact their bodies take in sports like football, hockey, and gymnastics. If kids can participate in these sports then weight training is definitely ok for them. If you have questions on where or how to provide a proper program for you child, ask one of DHAC’s degreed exercise physiologists for guidance. I get a lot of questions regarding private swim lessons. A majority of people believe their child will learn faster or be more comfortable in a 1-on-1 setting. 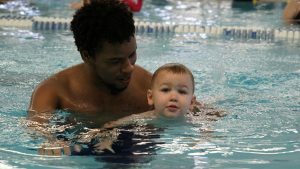 Let’s take a look at some pros and cons of private swim lessons courtesy of thoughco.com. Practice is the key to learning, and this is a consideration that comes into play when determining the best class format – private lessons, semi-privates, or groups. 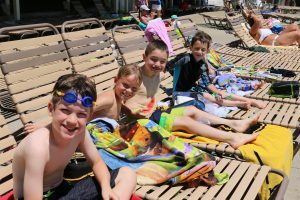 There are a number of factors that will affect practice time in any format, including age, swimming ability, and the instructor’s training and experience. Even with the least experienced of instructors, sufficient practice time will likely be achieved in a private lessons setting. However, with well-trained and experienced instructors such as the ones provided at Dedham Health, private lessons are certainly not required to achieve the practice time goal. The factor that hinders the benefit of private lessons is missing peers. Not only do children benefit from having at least one other child in their lesson for social reasons, but most children also tend to work harder when there is someone giving them “competition”. Even if they’re not competitive by nature, it’s still human nature to work a little harder when you’re around your peers. My professional advice to any parent who wants their child to become a better swimmer is to pay less (privates are significantly more expensive than groups) and get more (lessons). In terms of which specific class I would choose, it depends on the child’s age and ability level, and what the parents’ goals are for the outcome of the class. As an Aquatics Director, I want and need to do whatever the customers’ preference is, yet I like to inform them on the pros and cons and help them make an educated decision on what is best for their child. From a drowning prevention standpoint, it is difficult to have a safer situation than one-on-one supervision. If you can’t get private lessons, opt for a program that has a small student-teacher ratio and attentive lifeguards. Nevertheless, I encourage every parent, no matter how small the class is to watch your child closely anytime they are in or around the water. There’s no such thing as too much supervision when it comes to our children’s safety in a swimming pool. For more information on swimming lessons at Dedham Health, visit our website or give us a call at 781-326-2900. Remember, session three has already started but it’s not too late to sign-up! Summer Camp is so much more than swimming, sunshine, and slushies! Summer Camp sessions give your child the opportunity to make new friends, develop skills, and gain confidence in a new environment – all while having fun and making lasting memories! With so many amazing camp programs out there, choosing the right fit for your camper can be overwhelming! 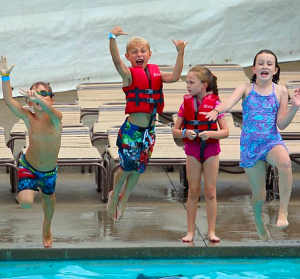 Here are five tips to keep in mind when selecting a camp for your child. Safety – Ask questions regarding the camp’s safety procedures. Make a list ahead of time of any specific concerns such as security measures, food allergy awareness, and staff to camper ratios. Schedule – Camps with choice driven schedules and plenty of variety will appeal to most campers and help keep kids engaged through the summer! Activities – Be on the lookout for programs that include unique or specialty activities of interest to your camper! Summer Camp is a great opportunity for kids to explore something new and to challenge themselves! Camp Staff & Community – Camps with experienced leadership will create a positive, community-oriented environment encouraging cooperation and camp spirit, and will help support kids as they adjust to camp! Make Kids Part of the Process – Ask your camper what kind of Summer Camp they would like to go to. Visit a camp expo together! Camp fairs are a great way to gather information on several options and a convenient opportunity to meet camp directors from different programs all in one place! Give your child the opportunity to choose a camp from two options you’ve selected. Visit our website to learn more about Summer Camp programs offered at DHAC, or visit our table at the Boston Parents’ Paper Summer Camp Expo at Dedham Health & Athletic on Saturday, January 20th, 2018 from 11am – 2pm!